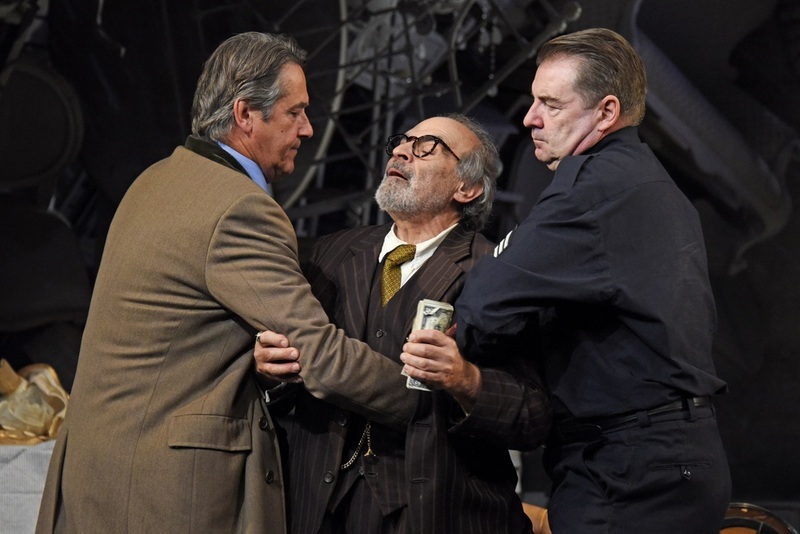 Arthur Miller’s 1968 play The Price is the story of two estranged brothers and how their underlying conflicts play out as they try to sell off their late father’s chattels 16 years after his death. Miller mines his own experience as the son of a businessman who lost all of his money in the fallout from the Great Depression of the 1930s. He also explores his signature themes of maleness, Jewish identity and the hollowness of the American Dream in a play with distinct Freudian undercurrents. 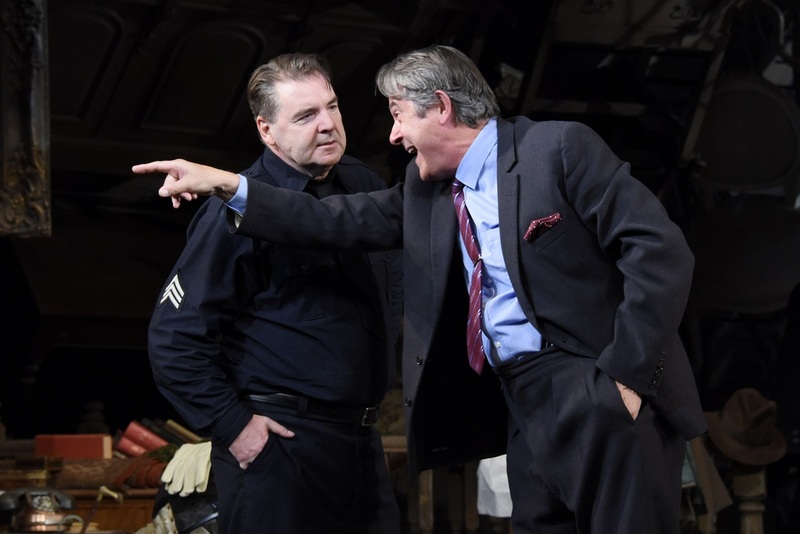 The play opens with Victor, an emotionally blocked New York cop heading for an existential mid-life crisis played by a wonderfully hangdog Brendan Coyle, rooting through the psychological and physical clutter of his late parents’ life. The cleverly designed set by Simon Higlett illustrates the literal and emotional mess that he is in with furniture clinging to the walls and ceilings trapping him in a prison of mock Biedermeier soft furnishings. Victor had sacrificed a promising career in science to take a job in the police force so he could support his father who had lost a considerable fortune and seemed unable to work. He is joined on stage by Sara Stewart as his wife Esther, who in a beautifully nuanced performance shows us a woman not only teetering on the edge of alcoholism but also seeing both her dreams of a better life and her own allure slipping away. She nails down her frustration with the frozen Victor’s inability to step forward with his life with the line ‘You’re free and you can’t make a move’. 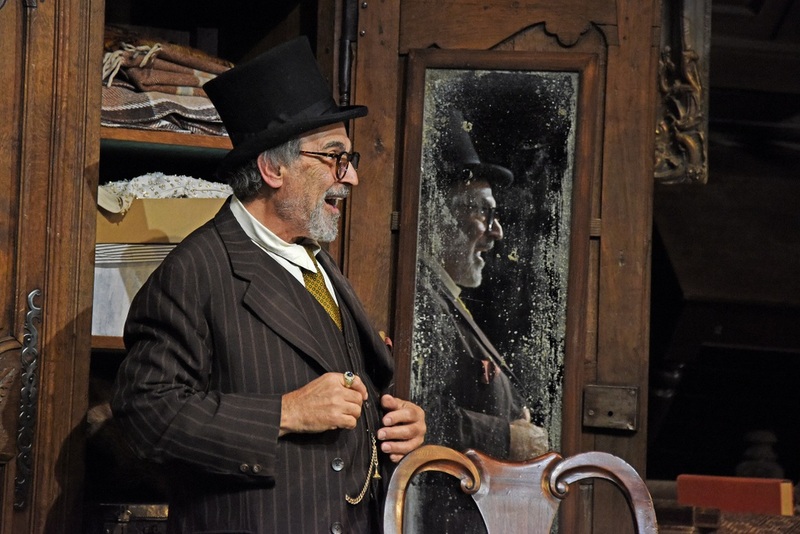 After Esther leaves, Victor is joined by David Suchet playing Solomon, an aged, semi-retired Jewish furniture dealer. Suchet is so much fun in the part that they should build a TV series around him. He twists Victor round his little finger, cajoling him, begging, grandstanding, feigning illness, bobbing and weaving around the stolid cop like a venerable Hasidic prizefighter and finally offering a price for the contents of the apartment. Just as the deal is being done the first act closes with the unexpected arrival of prodigal son Walter, the wealthy brother who had broken away from the family to carve a successful career as a surgeon. After the humour of the first half, the second act sees the unravelling of the tensions between the brothers with Esther vacillating between the two. It turns out that despite his money things had not been straightforward for Walter who had since reassessed his life wanting to make peace with his brother. For Victor achieving a resolution with Walter was a much tougher prospect despite Esther’s best attempts, even as he comes to understand that he had been the victim of his father’s narcissistic manoeuvrings. The acting is simply incredible from the four protagonists as the family history is unpacked and recontextualised with Coyle’s Victor unable to let go of his pride and take the offer of work and money from Adrian Lukis’ slippery but emotionally more honest Walter. With Esther finally acknowledging Victor’s inability to change, Sara Stewart beautifully underplays her process of slipping into a resigned acceptance of her fate. 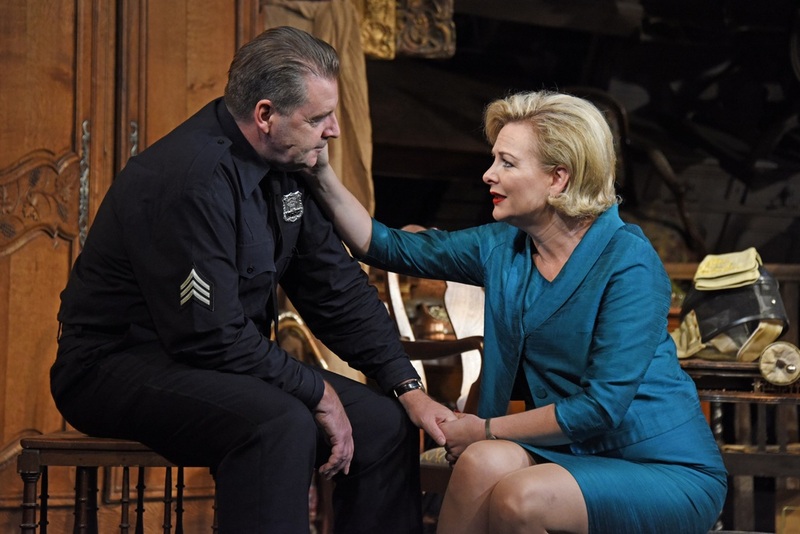 Jonathan Church ’s production of The Price is slightly uneven with the two halves having a very different tone but the staging and performances are first-rate and an asset to the West End. The play ranks amongst Miller’s best, and the way in which it identifies and strips away the illusions that we construct to protect ourselves is revelatory in the way that only great theatre can be. Looking for somewhere to enjoy a Pre-Theatre Light Dinner in the West End? We recommend Pauls, Covent Garden, round the corner from Wyndham’s Theatre.